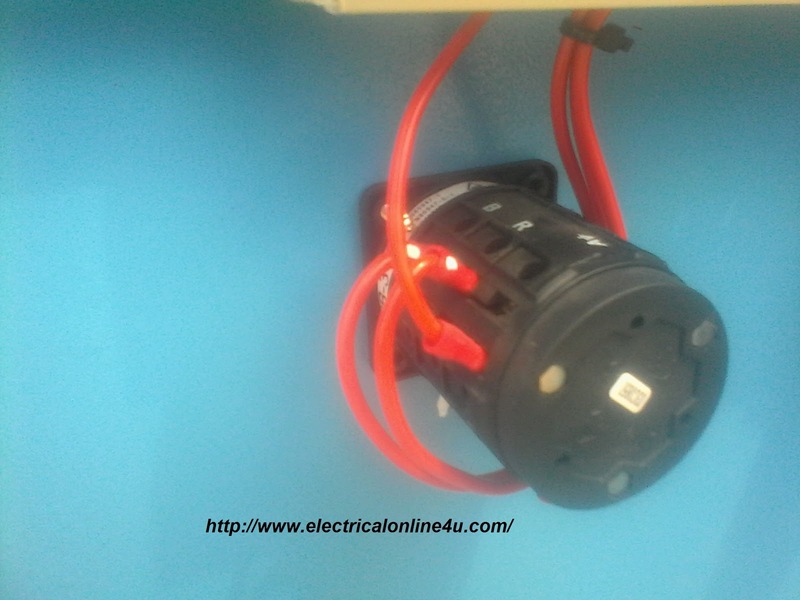 As you know that last time i published post about the voltmeter selector switch wiring which was about the three phase voltage measuring and in which we did not talk about the neutral connection. 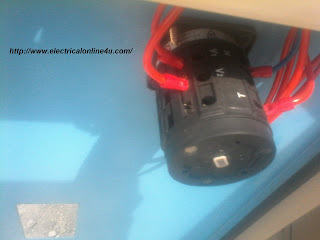 In this post i also write about voltmeter selector switch connection wiring but in the last time i talk and publish diagram about the 3 phase and in this post you will learn how to measure 3 phase 4 wire system voltage using a voltmeter selector switch and an voltmeter. Last day i am working in panel board with my teacher Mr. Fazal Manan and we wire a voltmeter selector switch in power factor panel board. We also install the ammeter selector switch in this panel board. And When we done this work, i capture some images which related with this post, from these images you cannot easily learn the wiring connection but you can learn the installation or getting idea of installation. And I hope from these images you will able to select the correct place for this switch and you will also see it's back side wiring connection images below. You will see the clearness and level of work and if you follow same method, your work will be look very handsome and awesome. From these images you will learn the installation and correct place for the selector switch, but what for wiring connection. Be cool i also share the connection diagram for voltmeter selector switch wiring for 3 phase 4 wire system. With these image i also guide you the wiring connection, first we stat about its front view which the voltmeter selector switch escutcheon plate which are shown below. In RS, ST and TR option for testing voltage between two phases. 0 for off and RN, SN and TN for voltage measuring between one phase and neutral. So what about the wiring connection, this selector switch wiring is too simple and easy, as you know that we use R,S,T for three phase and N for neutral. So this selector switch have terminals with the name of V1 and V2 which is for the Voltmeter and R,S,T for 3 phase power supply where we connect the three phase wires with R,S,T terminals in back side of voltmeter selector switch and N for neutral where we connect the Neutral wire. You can see back side wire connection of selector switch in below images. In the above image you can see the S, R and other connection, but all connection are not clear shown, however in last i am sharing the diagram which can help you to fully understand. In the below image you can see the V1, V2 , T and N connection point area. I hope you got some greet knowledge from the above images and article but this is not complete without a complete volt meter selector switch diagram. In the below diagram shown the complete method and wiring connection of selector switch for 3 phase 4 wire system. (Note that this diagram i taken from an book, and Soon i will design a diagram for this with digital voltmeter installation). The above diagram is about the model of C176 selector switch, and it's available in different escutcheon menu plate which are shown below. So How A voltmeter Selector Switch works for 3 phase 4 wire system, and Why we use it? The major use of voltmeter selector SW is to measure the voltage of the 3 phase 4 wire system in between tow phases and phase neutral by using only one voltmeter in same time. E.g example " we get first one menu from about menus which P56, in center we have OFF option and when the knob on off side the voltmeter will be off, So we named our phase with R,S,T and N for neutral. 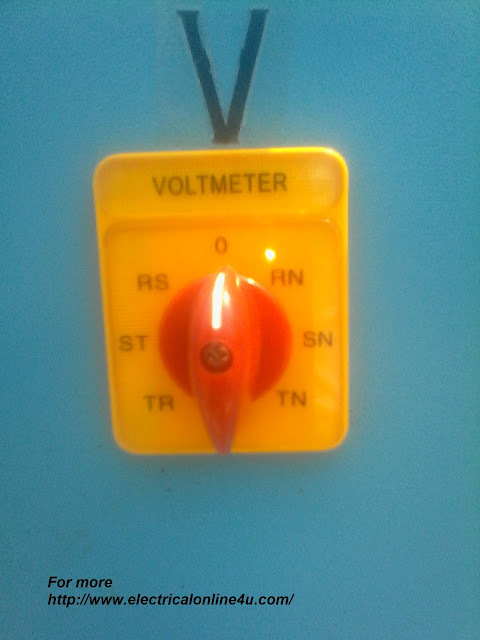 So if the knob on RS the voltmeter will show the voltage between the R and S phase, and if selector switch knob on the ST, this will show the voltage between the S and T phase and on TR this is will show the V between the T and R Phase. So this is for 3 phase now come to the test the voltage between neutral with all phases. So if the knob on RN the volt meter will show the volts between the R phase and neutral and if knob on SN the V meter will show voltage between the S phase and neutral. And If we set knob on TN, it's will show the volts between the T phase and neutral. In short the voltmeter selector switch is a switch from which we can test voltage of 3 phase 4 wire system using one voltmeter in very short time and we don't need to install volt meters for all phases. I hope you got some knowledge from this voltmeter selector switch wiring diagram for 3 phase 4 wire system, not that you can also use the voltmeter selector switch for three phase only but if you have neutral available in circuit then the better option to use it for 3 P 4 wire system and it's is made for this work. Dear i love to tech you online which i learned. WOW! 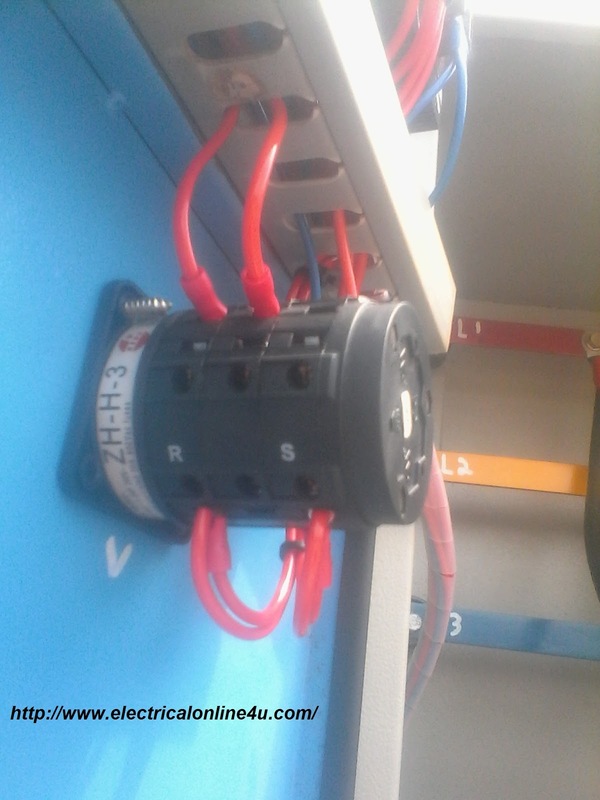 What a decent combination of Voltmeter Selector, Switch Wiring and Instillation For 3 Phase 4 Wire System. Can you share with us step by step installation of a solar system's electrical wiring system for home and even for a small commercial project. V1& V2 with whom should i connect?